One of the things that I did not mention in my introduction is that I’m a techie, although if you have viewed my resume (Edit: I’m currently seeking contract work with C++/Linux/Embedded systems), that should be pretty obvious. As a result, I follow technical news from several sources. 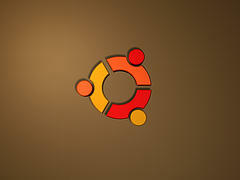 One new item that caught my eye is that Cononical plans to release a version of Ubuntu Linux for smartphones. The article where I first saw it did not think that this was a Big Deal, but I think it’s a Disruptive Technology coming down the pike. Ubuntu for smartphones isn’t just a version of Android, although Android is also based on Linux. It’s a real, complete Linux. A Ubuntu smartphone user will be able to connect up a BlueTooth or USB keyboard & mouse and an HDMI monitor, and do pretty much anything that would be possible with a standard laptop running Ubuntu. I’ve wanted something like this for years! When it does arrive, I’ll be getting it. If it becomes available for the G2x, I’ll be installing it there. If it requires more resources than available on my G2x, I’ll be buying whatever it takes to run it. And I’m not even overly fond of Ubuntu, even though it is based on Debian, which is my personal OS of choice these days. Ubuntu’s approach to user-friendliness is probably the best available option, for now. This is going to spawn a whole new class of industries, similar to what was spawned around the tablet. Initially, this will appeal only to techies like me, but once it sinks in that your cellphone can completely replace a laptop, you are going to see things like kiosks where you can rent time on a large HDMI monitor and a USB keyboard (with a mouse or trackball) everywhere. Or maybe such kiosks could use NFC or a similar technology. I also expect that WiFi, or its successor, will eventually be ubiquitous and inexpensive. I can see the day when I’m on vacation or business trip, and needing to update a website, I step up to a kiosk which instantly recognizes me via my cellphone (still in its holster), and I access everything I need using my own customized setup. Without having to spend any time learning a strange set of menus. I also think this is all going to happen a lot sooner than most people think.